She should have been sunning herself on a beach in Hawaii, enjoying a much-needed vacation. Instead she's driving down a dark, nowhere road in the middle of Iowa, surrounded by cornfields, and about as far removed from sun, fun, and Mai Tais as she could get. Private investigator by trade, it's Grace's psychic gift that made her cave for her friend Mike, a detective with the St. Louis police department. He begged her to take a look at one last picture before she left. So she did. And after the startling intensity of the connection she felt for missing Maia Olson, she's now following the persistent pull of her gift as she tracks the child down. In Iowa. Grace is a bit unsettled by the smack of huge bugs against the windshield, and the absence of anything resembling civilization is a little disconcerting, but it's the massive, black shape that hurtles out of the night in front of her car that shocks her into swerving off the road and into a ditch. And that's just the beginning of disturbing, freaky things Grace is going to experience, see, and learn after she's rescued by a man named Aiden and drawn into a world of Norse gods and fire demons. She will be introduced to a heritage she can hardly imagine and meet her destiny in a town named Ragnarok. Aiden is Odin of his clan, and it's his duty to lead the hunt that guards the portal between this dimension and Asgard. He lost his wife to fate, but his daughter was taken from him a year ago, snatched across the portal by fire demons during a flare. He doesn't know if she still lives. He knows he has no chance of finding her on the other side. Until, that is, he rescues Grace and realizes she is of his people, and a gifted seer and tracker. The risk is phenominal. Grace may not even survive a crossing to Asgard. And even if she does, she may not be able to find his daughter. As he grows closer and closer to Grace while they wait for the next flare, Aiden may have to decide if the risk in rescuing his daughter is worth the life of the woman he is starting to love. It started so well. 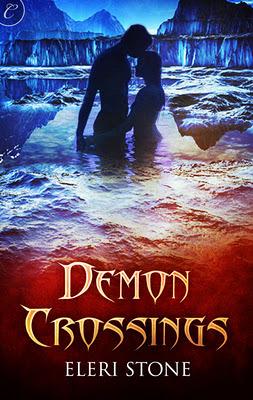 Demon Crossings doesn't waste any time before it's hurtling readers down a dark road and tossing its heroine all over the place, or rattling her world with a massive paradigm shift and a hunky Norse god. Sharply written, the first quarter of the book sets up the world, the characters, and the mythology with speed and clarity while Grace's life starts to unravel around her. I found the Norse mythology a refreshing change from overused standards, and appreciated the sparks of originality it engendered. I also enjoyed the concept of the plot, and thoroughly enjoyed several aspects of the storyline. I can't say, though, that the main characters really did it for me. I don't feel like I got to know either one of them particularly well, and I struggled to feel any sort of connection to them. On her own merits, Grace seemed mostly likable, though I did get a little weary of her stubborn refusal to be open minded as the book progressed, especially given her own experiences. Aiden struck me as a quiet, steady force of nature in his own right, but he tended to be burdened by an over-inflated sense of responsibility that wore on my patience. They were both very internal characters, with far, far more going on in their heads than they were saying to each other. Neither were at all good at honest emoting or expressing. Those sort of closed off, contained characters frustrate me when I'm reading. 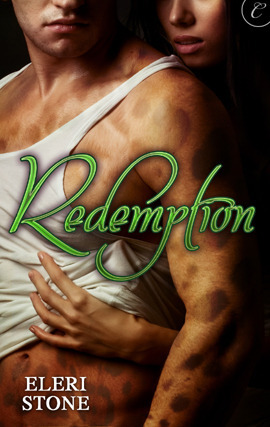 Not to mention, the two of them as a couple struck me as the most emotionally reserved romantic pair I've read lately. The romance failed completely for me because of that. Frankly, I had more fun with the secondary characters, who, while plentiful and colorful, were sadly underused. I also had problems with the way the storyline progressed through the book. After the fast, interesting start, the pace of the book dragged and not much happened for far too long in the middle. The plotline seemed to tread water for awhile and instead of even doing much in the way of preparation, Grace and Aiden just seemed to spend their days tiptoeing around each other. Their physical relationship may have evolved during that time, but not much else did. And then, like a flip switching, the book kicked back into gear and the plot lunged forward, ratcheted up the action, suspense, and danger, and provided several meaty scenes of story progression and several intriguing plot elements late in the book. I enjoyed those parts immensely, but couldn't help but be frustrated by their earlier absence. In the end, the ups and downs were too much to make Demon Crossings consistently entertaining for me. Some parts were great and I enjoyed them very much. Some weren't. And my issues with the main characters and their romance were huge stumbling blocks. Almost everything else was a win for me, including the plot-driven story elements and the secondary characters. For me, though, there just wasn't enough "everything else."